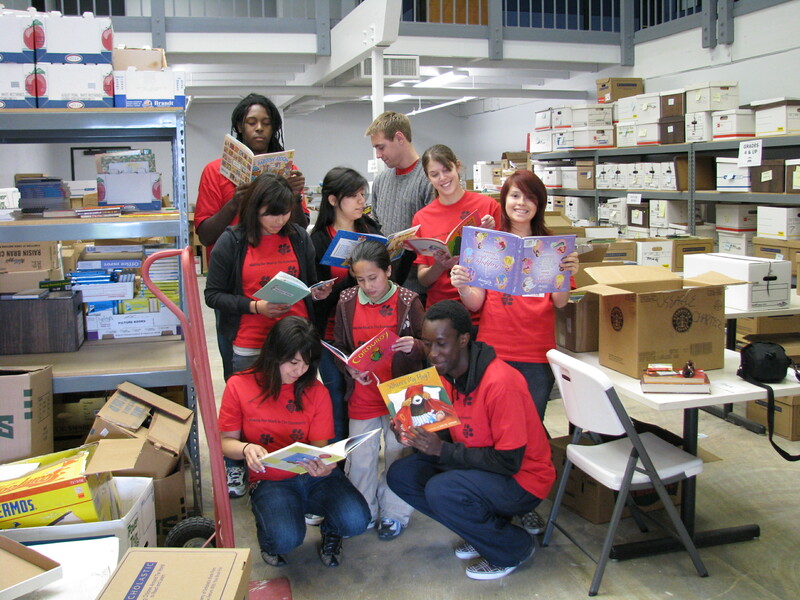 Fresno State students who participated in the 2009 ASB Pilot Program enjoyed sorting books at the Central Valley Book Bank. This spring, ambassadors Daini and Jonathan will help prepare and lead the 2nd Annual “Alternative Spring Break” program. What in the Richter Center name is an Alternative Spring Break you might wonder? Well, this year it is a four-day long (March 27-30) event that will not only include service related projects that will undoubtedly help the surrounding Fresno community, but there are also chances to make friends, and gain leadership skills. Recruitment for participants in ASB is going on right now! To apply, visit the Richter Center (TA 107) for an application, or download a pdf of the application from the link below. Students participating in ASB 2010, will have an opportunity to select from two distinct service teams. One team, led by the fearless Ambassador duo of Jonathan and Daini, will work with Fresno Street Saints, a community based organization in southwest Fresno. This team will have the opportunity to work with children, families, and seniors in the area. The second team, led by Lorena Lozano and Dana Elkins (of USU Productions notoriety), will be working with Rotary Storyland to continue rebuilding park displays. This project is great for students who want to be outdoors, while contributing to the literacy efforts of our city. Fresno State’s Alternative Spring Break 2010 promises to be a lot of fun and a new way to experience your “downtime” away from the responsibility of classes. Applications to participate are due this Thursday, February 25, 2010 at 5:00 p.m. in the Richter Center (TA 107). So, don’t delay – Spring into Action with Alternative Spring Break!